Is Fall Out Boy Planning Another Collaboration with Brandon Urie? - GENRE IS DEAD! Is Fall Out Boy Planning Another Collaboration with Brandon Urie? 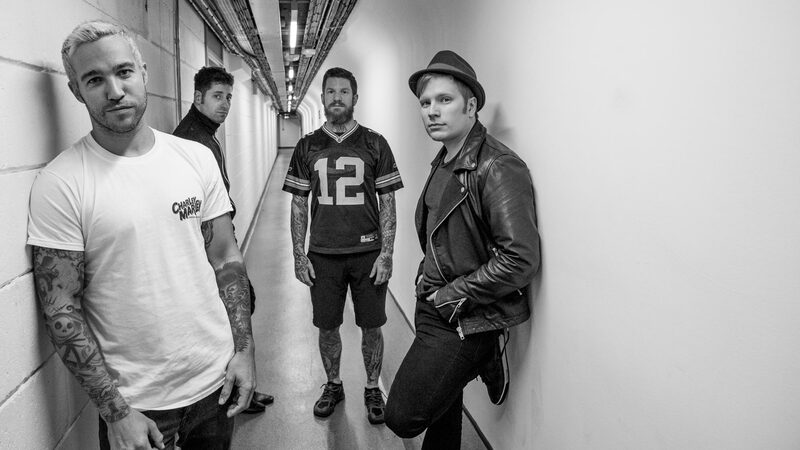 Fall Out Boy have released a new short clip, starring Panic! At The Disco frontman Brandon Urie. The Instagram teaser features a figure dressed up in a purple llama suit pouring cereal into a bowl while the band’s new single “Young And Menace” is playing. At the end of the video, the furry figure takes off their mask to reveal it is Brandon Urie, who then proceeds to eat the crunchy cereal. The teaser has immediately prompted fan speculation that Fall Out Boy and Urie might be working on another collaboration. In the past, the Panic! At The Disco lead singer contributed to several Fall Out Boy tracks, namely “7 Minutes In Heaven”, “What A Catch, Donnie” and “20 Dollar Nosebleed”. He has also starred in a number of the band’s music videos. Fall Out Boy are releasing their seventh album M A N I A on September 15. Tour dates for Europe are expected to be released soon, meanwhile you can check out their US tour dates.